As per a Voice of Customer survey published by TechSci Research, sustainability and less or no use of chemicals have been identified as the most influencing factors while purchasing zero waste shampoos. It is estimated that by 2050, the ocean will contain more plastic by weight than fish. Globally, humans produce 300 million tonnes of plastic waste every year, of which almost 80% is not reclaimed or recycled. In United States alone, 552 million plastic shampoo bottles were disposed of in 2017. 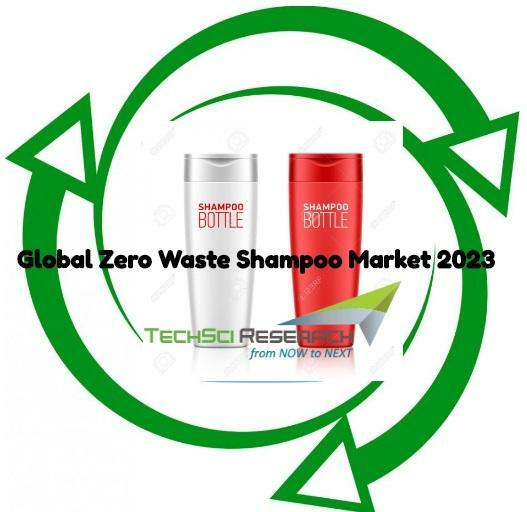 According to a TechSci Research report, “Global Zero Waste Shampoo Market By Type, By Distribution Channel, By Region, Competition, Forecast and Opportunities, 2023”, the global zero waste shampoo market is projected to register a CAGR of more than 22% during 2018 – 2023 on account of increasing disposal of plastic waste from cosmetic products and rising inclination towards organic and eco-friendly products, especially among the youth population. Growth in demand for zero waste shampoo is also exhibiting a strong growth trend on account of a rising number of small scale manufacturers promoting the sales of products with environmentally sustainable packaging coupled with rising demand for organic hair care products. Additionally, rising government initiatives across various countries towards restricting the use of plastics and exploitation of natural resources is further anticipated to positively influence global zero waste shampoo market in the coming years. Lush Retail Ltd., Ethique Beauty Ltd., Beauty and the Bees, Plaine Products LLC, J.R. Liggett, Ltd., etc., are some of the leading players operating in the global zero waste shampoo market. Among regions, Europe dominated the market in 2017 as the inclination towards adopting zero-waste philosophy is comparatively higher in the region. On the basis of type, global zero waste shampoo market can be broadly categorized into bar shampoo and liquid shampoo. The bar shampoo segment accounts for majority share in the market as zero-waste concept is majorly applicable to bar shampoos and has proven to be much more cost effective in terms of shampoo usage. “Rising waste produced by cosmetics industry from the supply side as well as the demand side is pushing various cosmetics manufacturers to adopt zero-waste philosophy. Further, customers lack awareness about zero-waste philosophy, which is an issue the manufacturers need to address to promote an organic growth environment in the market. Additionally, governments of various developed and developing countries are focusing on reducing the amount of waste going to landfills, which is anticipated to steer growth in global zero waste shampoo market during forecast period.” said Mr. Karan Chechi, Research Director with TechSci Research, a research based global management consulting firm. “Global Zero Waste Shampoo Market By Type, By Distribution Channel, By Region, Competition, Forecast and Opportunities, 2023” has evaluated the future growth potential of global zero waste shampoo market and provides statistics and information on market structure, size, share and future growth. The report is intended to provide cutting-edge market intelligence and help decision makers take sound investment decision. Besides, the report also identifies and analyzes the emerging trends along with essential drivers, challenges and opportunities present in the global zero waste shampoo market.